Could Samsung Pay come to other Android phones in the future? And the South Korean brand cares about your health... honestly. Contactless payments are all the rage right now. Apple Pay is here in the UK, Android Pay is coming in the next few months and Samsung Pay should arrive just after, but could we see it Samsung's own version on other phones in the future? 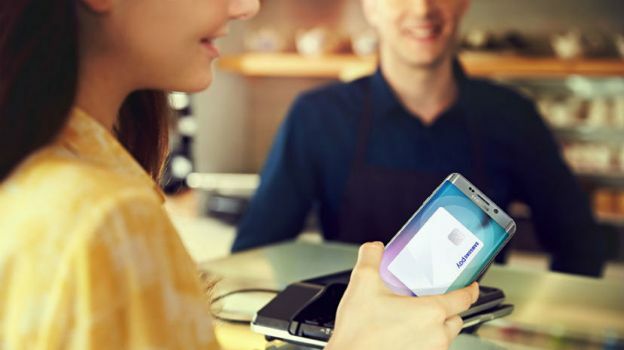 Samsung Pay is set to be a big focus for the company in the coming months, especially in its launch market of South Korea - but recent comments by the company's bigwigs have hinted that it's going to get a wider run out. Samsung's Mobile Head Shin Jong-kyun recently told The Korea Herald that Samsung Pay “will gradually expand", adding: "the Samsung Pay service is going well, and I think more users will be able to use it,” which could be in reference to it appearing on cheaper phone or possibly being rolled out to other NFC-enabled devices... although without the magnetic stripe abilities that the S6 range are imbued with. On top of that, Samsung's going to try and make more of us healthy - well, that's what you'd assume its aim was given it's pushing its S Health out to more phones than its own. It's the first time the S Health app has been made avaliable on other Android manufacturers devices since it launched back on the Galaxy S5 - you can download it here from the Google Play Store. So with that in mind, the notion of the forthcoming Samsung Pay one day coming to other phones that aren't from the Korean manufacturer seems more likely. It'd make sense for the company to have its payment system on the broadest range of devices possible and restricting itself to the limited Samsung owners isn't going to do that. It'd also be a better option for the consumer generally as we'd have the choice between Android Pay and Samsung Pay, plus any other alternatives that decide to crop up as well. On Apple you're restricted to using just that one payment system, but if there are many other choices across Android it'll generate some more competition, hopefully spurring some innovation in the area.